I had to run an errand yesterday in South End and I was hungry because it was about three o'clock and I hadn't eaten lunch yet. 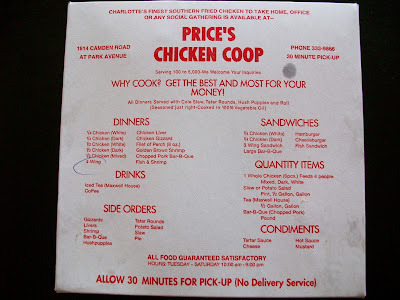 On my way out, I passed Price's Chicken Coop and decided that on my way back I would stop there to grab lunch. 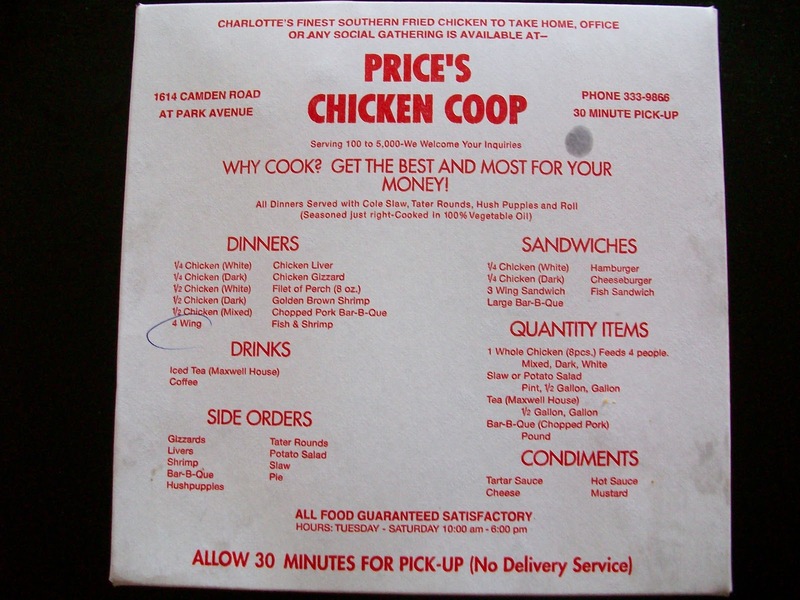 When I eventually went to Price's, it was about four o'clock and, if you know anything about the popular fried chicken takeout restaurant, you know that the place is almost always packed and there's often a line out the door. That was the case yesterday, but the veterans working the counter get you in and out rather quickly. Once I grabbed my food and headed home, I started to get excited. It was the kind of excitement you get when you're extremely hungry and your car is being filled with the smell of fried goodness. 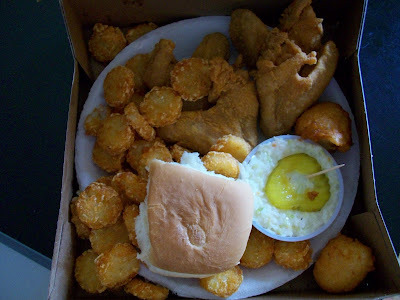 Plus, I began to realize that it had been several months since I had eaten fried chicken, let alone more than two years since I had eaten at Price's. My experience with the chicken run yesterday reminded me of this week's episode of The Boondocks, in which havoc breaks out nationwide when a free-chicken promotion causes a chicken franchise to run out of chicken. Then people believe they've contracted fried chicken flu from eating it. If you haven't seen the hilarious, too-funny-to-be-offensive episode, check out the clip below. Shop at bitsforpets.com for chicken coops, chicken house, chicken coups, cheap rabbit cages, indoor rabbit cages, indoor rabbit hutch, outdoor rabbit hutch, outdoor rabbit hutches, rabbit cages, rabbit hutches, rabbit hutches for sale, reptile terrariums, reptile vivariums and pet accessories.